Transportation is crucial to virtually every aspect of society as well as our individual lives, and helps define our communities. However, while technology has brought extreme advances in areas ranging from computers and smartphones to scanners and sequencers, mobility options have remained essentially unchanged for decades—until now. Smartphone-enabled ridesharing is in everyday usage, electric vehicles are now mass production, and we are witnessing the dawn of autonomous vehicles that will soon becoming commonplace. Other mobility services—from on-demand bicycles and scooters to ‘ride-pooling’ and WiFi-outfitted mass transit—are also providing better options for people, and cities, and leading companies are exploring hyperloops, flying taxis and more. Which technologies will become commonplace, how much impact will they have on our lives, and what else is on the horizon to address transportation needs and mobility options? How will these changes transform work, communities, and society? We have a panel of Austin transportation experts ready to explain all this and more, and to answer your questions. 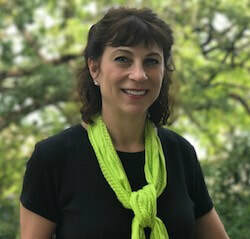 Karla Taylor is Chief of Staff for the Austin Transportation Department, and is part of the executive team developing policies and strategic direction for the 300-member transportation department. Recently, she was the Project manager for 2016 pursuit of the $50M US DOT Smart City Challenge grant, which sparked the drive for transportation technology preparedness for our region. 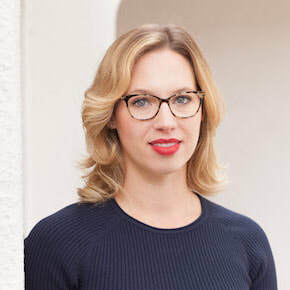 Building on the Smart City project and regional collaboration, Karla was the lead author of the Smart Mobility Roadmap: Austin’s approach to Shared, Electric, and Autonomous Vehicle Technologies (Oct. 2017). Karla leads analysis and preparation for federal and state legislative items, including vehicles for hire and autonomous vehicles. And she supervises citywide media communications for the department. She has worked in both the public and private sector in the transportation field, and for Texas City, County and State elected officials. Karla is fluent in autonomous vehicle acronyms, interprets mobility contradictions and reads political headwinds. Kathleen earned her MPhil from the University of Cambridge and her B.A. from the University of Virginia. Barry Einsig is the Connected and Automated Vehicles Principal at CAVita. Barry has been in the industry for 20 years serving in a variety of roles providing industry leading solutions for Automotive, Transportation, and Public Sector systems. He is a member of Singapore CARTS Committee focused on Connected and Highly Automated vehicle systems. Barry has worked globally with customers in all modes of transportation including: Network Rail, Deutsche Bahn, Dallas Fort Worth Airport, Port of Hamburg, SFMTA, Transport For London, BNSF, WMATA, AMTRAK, DART, PA Turnpike, TMR Australia, Metrolinx Toronto as well many others. He is also a patent holder for Video Quality of Service over LTE. Barry has been an Advisor for 3 research projects through the National Academies of Science Transportation Research Board and National Cooperative Highway Research Board on Wireless technologies, Policies for Transit Agencies on Connected and Highly Automated Vehicles and Mobility on Demand. He is a past member of the American Public Transportation Association, Association of American Railroads, and the Intelligent Transportation Society of America. Barry has also been active in the Transportation Sector Coordinating Council, APTA Security Standards development, and the Committee on Public Safety. He served as Chair for the Joint Council on Transit Wireless Communications, as well as a Past Chair for the ITSA Transportation Management Forum, and the Business Leadership Council, Public Safety Council, and Public Transit Council. Finally, Barry is a Board member for The Infrastructure Security Partnership. Barry graduated from Juniata College and has written for many industry publications including: Barry has presented at International Conferences such as CES, IoT World Forum, IWCE, APCO, ITSA, APTA, and ITS World Congress, on topics including security, wireless communications, IP networks and Automotive, Public Sector and Transportation Systems. He is also an avid reader and transportation book collector. Gregg Hansen is the CIO of GM's Maven car sharing service. Maven is a personal mobility solution, providing access to easy-to-use, on-demand tools to help people get where they need to go. Maven supports today’s changing mobility environment and lays the groundwork for a future with autonomous vehicles. Before joining the City of Austin, he led public private partnerships that focused on emerging technology program development, management and deployment in transportation, a key challenge for transportation agencies to unlock and learn the value of connected and autonomous vehicles. 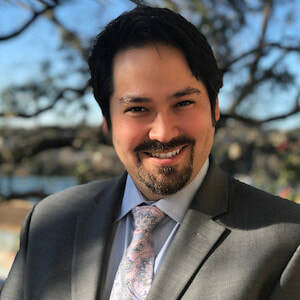 Jason will lead a cross-functional team of mobility, technology, policy, data, and user experience specialists to deliver outcomes that improve mobility, safety, equity, and access to Austin residents. He will also manage public-private-partnerships and the evolution of the Parking Enterprise division in its future role of transportation. He regularly provides insights and advice to industry-related non-profit boards, councils, committees and other organizations. 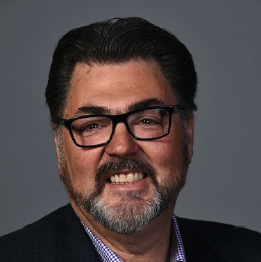 For the past 10 years, Jason has been an executive board member and past Chair of the OmniAir® Consortium, helping guide the creation of OmniAir’s certification services. 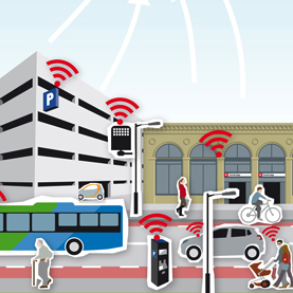 OmniAir® is regarded by industry as the WiFi® Alliance of Connected Vehicle. 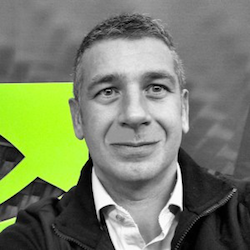 Alex Sabatier is a Senior Account Executive based in Austin, TX serving the NVIDIA Enterprise segment. In this role Alex evangelizes, develops and monitors the adoption of GPU computing in the Enterprise data center of the Fortune 100 companies in south Central US. GPU Computing addresses software techniques that covers the growing fields of HPC, Accelerated Analytics, Artificial Intelligence with Machine Learning and Deep learning. Before joining NVIDIA, Alex ran the North America business operations of a 3GPP wireless start-up named ICERA. When NVIDIA acquired Icera in July 2011, Alex handled customer relationships with US operators, like AT&T, T-Mobile and Verizon, then led strategic projects between NVIDIA and Google before moving to his current role. Alex earned his Bachelor of Science in Microelectronics and Robotics from the “Institut des Sciences de l’Ingénieur” in Montpellier, France which explain his wonderful accent.